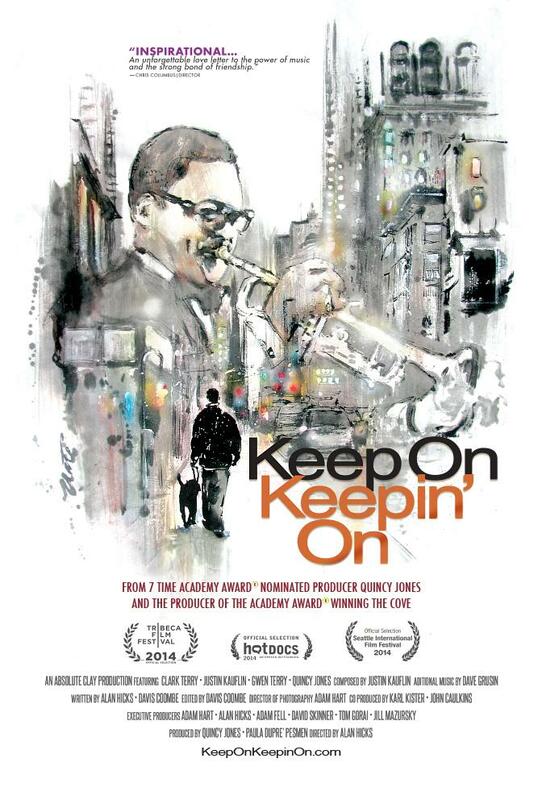 KEEP ON KEEPING ON is a poignant trans-generational story that was filmed over a four year period and explores the connection between ageing legendary trumpet player Clark Terry and young blind pianist Justin Kauflin. Produced by Quincy Jones and Paula Dupré Pesmen this debut documentary by Mike Hicks is a must see. 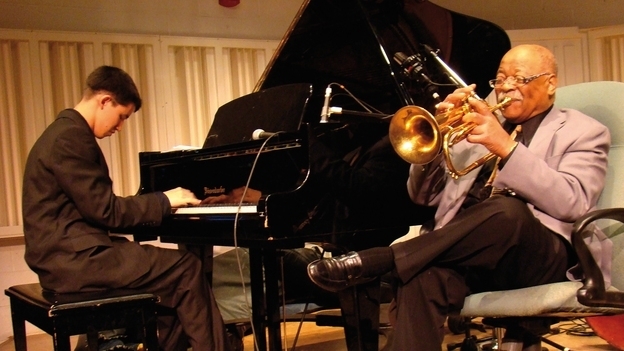 It tells the highly absorbing story of the relationship between Clark Terry – one of the founders of Jazz education – and his most recent protégé Justin Kauflin. As a young man ‘CT’ played alongside the giants of the big band / swing era – Duke Ellington and Count Basie. He mentored Miles Davis and Quincy Jones; and he draws on this experience to help 23-year-old Justin to overcome the performance anxiety and nerves holding his phenomenal talent back. What Hick’s captures in this film is the flowering of a friendship between the two men that transcends their mentor/student relationship. As Clark Terry’s health declines and Justin, who is completely blind, struggles to make his way in New York, their sessions together are mutually beneficial and incredibly poignant. Life affirming. This entry was posted in Is That Jazz?, Just Runnings and tagged BFI, Clark Terry, documentary, Jazz, Jazz Education, Justin Kauflin, Mike Hicks, NYC, piano, Quincy Jones, Rich Mix, trumpet. Bookmark the permalink. I was blind-sided by how moving the film is. Deeply touching. I just saw “Keep On Keep’n On” tonight. It essentially is a love story. An inspirational story of a young blind piano player and his mentor the great Clark Terry. Not to be overlooked is the incredible love and support of Terry’s wife.